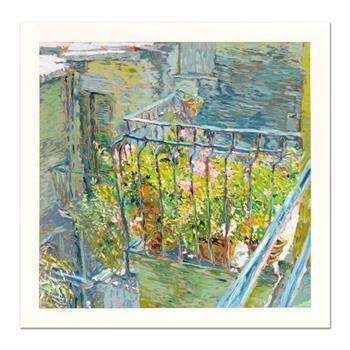 Marco Sassone, "Le Balcon Blue " Limited Edition Serigraph, Numbered and Hand Signed with Letter of Authenticity. "Le Balcon BlueåÊ" is a limited edition serigraph on paper by Marco Sassone, numbered and hand signed by the artist. Includes Letter of Authenticity. Measures approx. 37" x 37" (border), 33" x 32" (image). Marco Sassone was born in Campi Bisenzio, a Tuscan village, in 1942. His family moved to Florence in 1954, where he was introduced to painters Ottone Rosai and Ugo Maturo, who inspred him to follow his passion for art. Sassone attended the Istituto Galileo Galilei, where he studied architectural drafting for many years. While in school he provided for himself by selling watercolor sketches of Florence to tourists, a great deal of which were Americans. This helped improve his ability to speak English. In his present day work, Sassone takes a refreshing and intimate look at some of the sites from the cities of Italy: Venice, Florence, and the Amalfi Coast. Sassone has lived in Laguna Beach for many years but has returned to his homeland through his canvases. 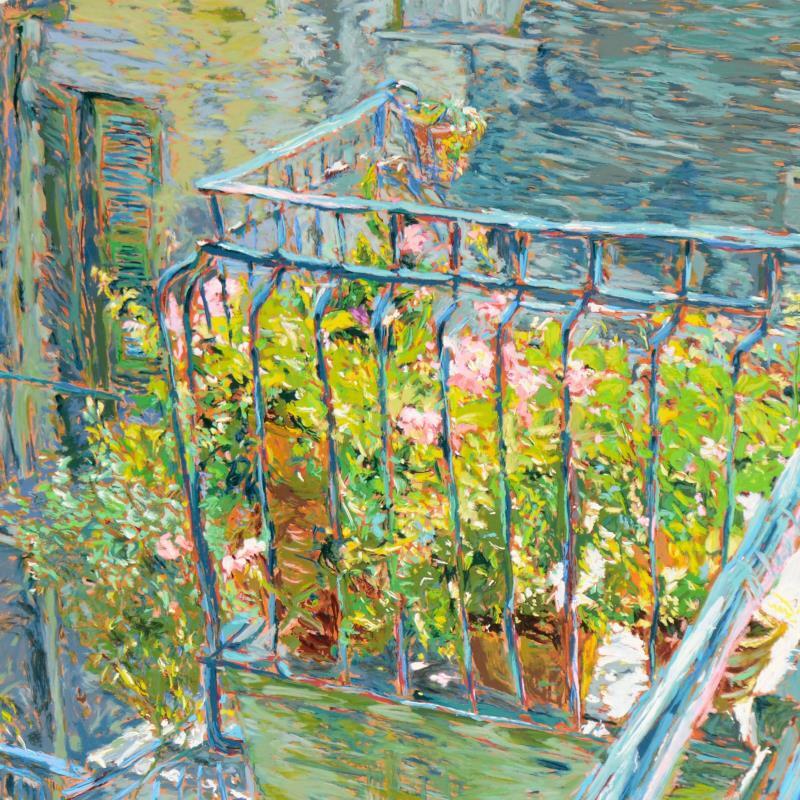 His new paintings have a compelling aura of authenticity which is derived from Sassone’s growth as a painter and the fitting choice of subject matter coming from deep inside his soul. Charles Speroni, the dean of the College of Fine Arts, UCLA puts Sassone's works into perspective with these words: "Sassone is a Florentine by birth, ancestry and temperament. But his training and experience have combined to give him a view of the world that is truly international - spiritually as well as geographically. He has remained faithful to his innate genius and deeply-held convictions as an artist."